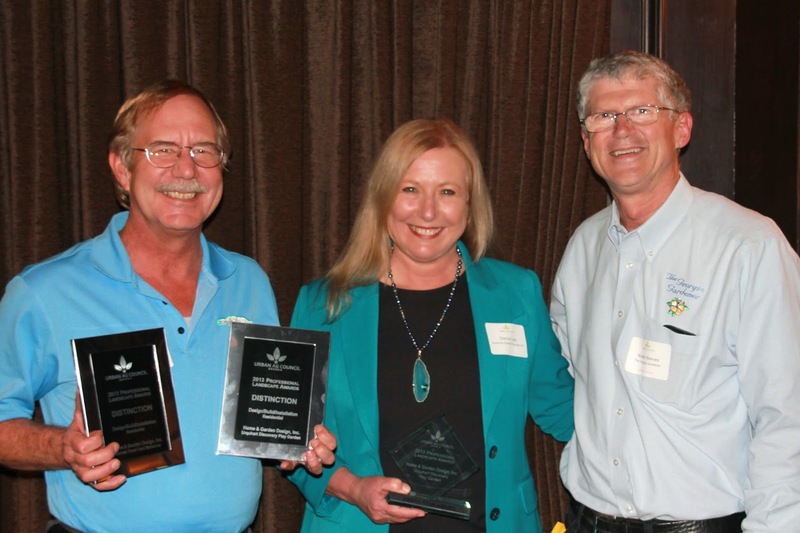 Danna and Conrad Cain of Home & Garden Design, Inc. won three professional awards last night at the Urban Ag Council of Georgia's annual competition. Here we are with Walter Reeves who was the presenter and master of ceremonies. 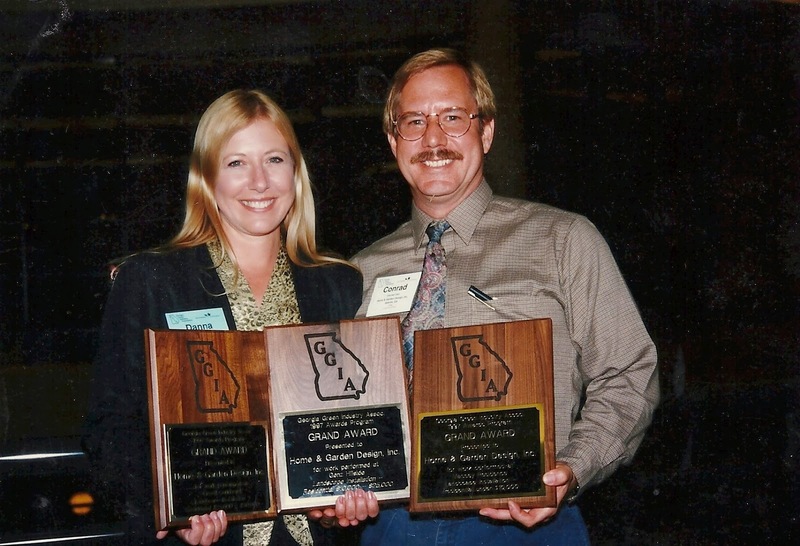 Flashback to 1997 when we received three awards in one night from the Georgia Green Industry Association.